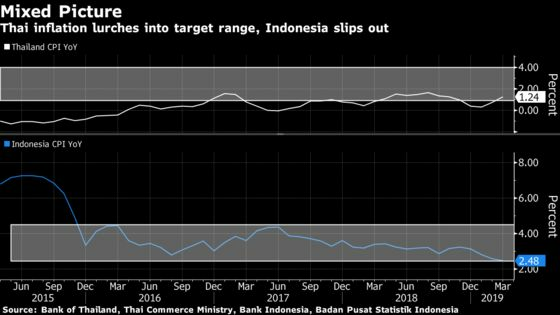 Inflation in Southeast Asia’s two biggest economies, Indonesia and Thailand, diverged in March, putting the two nations on possibly different monetary policy courses. 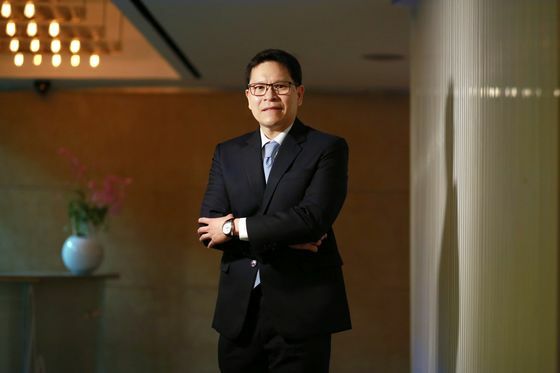 After raising interest rates by 175 basis points in 2018, Bank Indonesia has kept its policy rate unchanged at 6 percent this year ahead of April’s election. “This is the best data that any economic policymakers could get -- the decline in food prices accompanied by the robust core inflation that is indicative of a still healthy purchasing power,” Satria Sambijantoro, an economist at PT Bahana Sekuritas in Jakarta, said referring to Indonesia’s easing inflation. Still, the implications of subdued prices are less straightforward for Bank Indonesia’s monetary policy as it comes out as a external balance-targeting monetary authority and not sticking with the conventional inflation-targeting framework adopted by most central banks in the emerging economies, Sambijantoro said.